A clogged drain can lead to unpleasant smells, backed-up sinks and water damage throughout your home. With our premium drain cleaning service you’ll enjoy hassle-free drains throughout your home or business, from your kitchen drain to your main sewer. Call or text us at 605.222.4770 or use the request service form below for a fast friendly solution. Don’t wait until these issues become even more extreme. Once a blockage affects your whole home, you could experience significant water damage. There’s a reason we’re one of the best sewer and drain cleaning services in central South Dakota. Smith Plumbing offers exceptional service, affordable prices and unmatched expertise. Our team has real-world experience handling all types of clogs, both in private homes and commercial buildings. 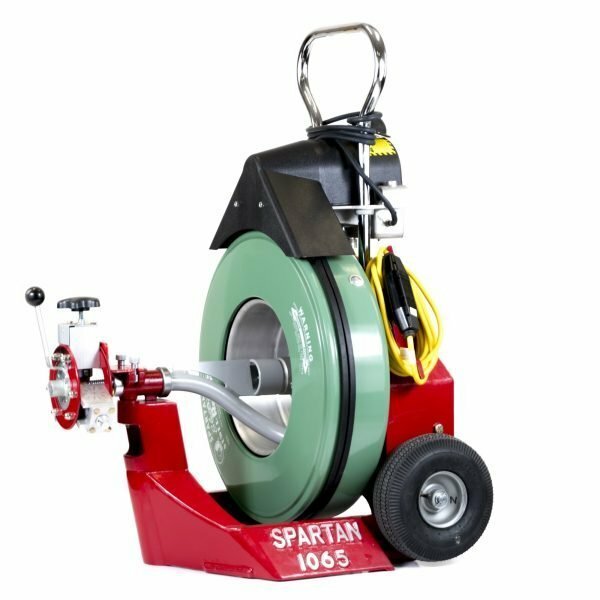 With premium Spartan rooters, no clog is too difficult to clean. If a drain or toilet is overflowing, contact us for a fast and friendly solution. We’ll use a variety of covers, drop cloths and cleaning tools to make sure your home stays clean while we work. Don’t call an amateur to take care of your home. When you call Smith plumbing, you’ll be greeted by an experienced, licensed and insured plumber in South Dakota. Whenever you call you’ll only receive the highest level of service. While there isn’t a problem too great for our team, there are a few tips and tricks you can use to prevent large clogs from forming in your drains. Some clogs are further down the line and unavoidable, like tree roots. Others can be prevented by carefully monitoring everything that goes down your drain. With these helpful tips, you’ll experience less blockages and stress-free use of all your household sinks and appliances. From emergency flooding to inconvenient blockage, contact Smith Plumbing today to schedule a local drain cleaning service. You’ll love the friendly, prompt service that each of our team members brings to the job. If you’re ready to experience clean drains once again, call or text us at 605.222.4770. Schedule a service call for any level of drain cleaning for residential or commercial buildings.